Edwin Góral, the Polish legal advisor (a profession similar to English solicitor), requested the Office of the Attorney General of the State Treasury to print at his own expense and sent him all the lawsuits and complaints filed by the Attorney General of the State Treasury Office in 2011, until 30 June. The President of the Office refused to disclose the requested information and decided that the Office of the Attorney General of the State Treasury is not an entity obligated to disclose public information, in particular, the documents produced by legal advisors who work for the Office and perform representation activities. Edwin Góral filed a comaplaint against this decision. The Voivodeship Administrative Court in Warsaw in its judgment of 29 December 2011 case file II SAB/Wa 357/11 dismissed it. The Court ruled that even if the contents of suits, summons, statements of claims, writs are considered as public information, the provisions of Article 1(2) of the Polish Act of 6 September 2001 on Access to Public Information – API – (in Polish: Ustawa o dostępie do informacji publicznej), published in Journal of Laws (Dziennik Ustaw) No. 112, item 1198, with subsequent amendments, provides that their disclosure should be specified in separate laws. The disclosure of civil suits (petitions) is possible under the provisions of the Civil Proceedings Code – CPC (in Polish: Kodeks Postępowania Cywilnego) of 17 November 1964, published in Journal of Laws (Dziennik Ustaw) No. 43, item 296, with subsequent amendments. The Supreme Administrative Court in its judgment of 23 July 2012 case file I OSK 896/12 dismissed the cassation complaint. The Court noted that the announcement of judgment occurs in open court. Judgments, including decisions of the Polish Court of Competition and Consumer Protection, should be disclosed to the public by a court as provided in the CPC. Similarly, the right of access to the case file, to receive copies of or extracts is governed by the provisions of the Civil Proceedings Code. It should be noted that this is a completely different position to that adopted in the judgment of the Supreme Administrative Court of 11 August 2011 case file I OSK 933/11. See “Access to public information, case I OSK 933/11“. Categories: Art. 1(1) API | Art. 4(1) API | Art. 61 Constitution | e-access | e-documents | e-law issues | Polish Act on Access to Public Information | Polish Constitution | Polish Supreme Administrative Court | public information. Błażej P. who is serving a sentence of imprisonment, requested the Minister of Justice to disclose paper copy of public information from the online Public Information Bulletin (PIB) that concerned the Ministry of Justice. The Minister answered that it can only disclose information, which was not made available in the Public Information Bulletin. Błażej P. filed a complaint against such decision. He noted that he is serving a prison sentence and thus he does not have access to the PIB. Therefore, the decision of the Minister violates the constitutional right of access to public information. The Voivodeship Administrative Court dismissed the case, and Błażej P. filed a cassation complaint together with the request the Constitutional Tribunal to decide on the constitutionality of the provisions of Article 10 of the Polish Act of 6 September 2001 on Access to Public Information – API – (in Polish: Ustawa o dostępie do informacji publicznej), published in Journal of Laws (Dziennik Ustaw) No. 112, item 1198, with subsequent amendments. Article 10. 1. Public information, which was not made available in the Public Information Bulletin, is made available on the petition. 2. Public information, which can be immediately made available, is made available in the oral or written form without a written petition. Błażej P. argued that the fact that the convicted person has to request the prison director on Internet access in order to access public information that is available at the PIB, makes the access dependent on the will of the director, and the provisions of the Punishment Execution Code do not provide for use of the Internet. The Supreme Administrative Court in its judgment of 21 June 2012 case file I OSK 730/12 dismissed it. However, the Court said that serving a prison sentence does not exclude inmates from access to the Internet or mobile phones, but it also does not mean that it may be unlimited access and to any information. Inamtes may use it, but on the rules established in the prison. They can also obtain public information in a form other than online, as determined by the provisions of the Punishment Execution Code. Categories: Art. 10 API | e-access | e-law issues | Polish Act on Access to Public Information | Polish Constitutional Tribunal | Polish Supreme Administrative Court | public information | Voivodeship Administrative Court. The Polish company NTT System S.A. applied for the right of protection for word trade mark NTTonLine Z-330715 for services in Class 35. The PPO noted that the entry in the list of services such as “management of the licensing of goods and services to third parties”, was placed in the trade mark application in Class 35. The PPO ruled that it is a very general term, referring to all goods and services. Meanwhile, according to International Classification of Goods and Services “licensing of industrial property” and “licensing of computer programs” should be classified in class 45. Therefore, PPO asked for clarification of the original term – so as to eliminate any doubt regarding the scope of protection of the trade mark NTTonLine, because the general reference to all goods and services could in fact raise the risk of inclusion of general terms that belong to the different classes. NTT System did not submit any additional documents or corrections and the PPO discontinued the examination proceedings. NTT filed a complaint against this decision, and later withdraw it. The Voivodeship Administratice Court in its order of 8 December 2010 case file VI SA/Wa 2122/10 was required to examine whether such withdrawal is not intended to evade the law or if it would leave in force a void decision. The Court ruled that that withdrawal was acceptable in this case. NTT filed a cassation complaint, and the Supreme Administrative Court in its order of 9 August 2011 case file II GSK 1127/11 annulled the order of the VAC and returned the case for further reconsideration. The Voivodeship Administrative Court in its judgment of 5 April 2012 case file VI SA/Wa 1780/11 found that this time NTT System did not request the withdrawal of the complaint, and demanded a hearing. The Company argued that it is not true that the services listed in Class 35 are general in nature, and they need to be clarified, because for all general terms in the Nice Classification are marked with an asterisk, and only such terms should be clarified. Moreover, the contested final decision of the Polish Patent Office violated the law as it was issued by an unauthorized person – an expert not having the appropriate authority to consider this particular case. Such authorization should be granted by the President of the PPO. The Court held that the most important is the recommendation that the particular text appearing in the alphabetical list should be used as the indication of goods or services, not a general term. And the mere fact that a specific good or service are listed in alphabetical order does not affect the individual decision of national industrial property offices on the possibility of registration of the mark for such goods or services. The wording of the list of goods and services must be clear not only for the applicant, but also for third parties who either may submit an opposition to the grant of the right of protection, or simply by applying or using the sign, they wish to avoid a collision with a similar trade mark with an earlier priority. The court considered the request of the PPO that was addressed to the applicant in order to clarify the list of services, as justified. The Court ruled that the President of the Polish Patent Office is empowered to authorize certain persons not only to make decisions on her behalf in certain matters, but also to select of experts or assessors to act in certain cases. The expert examining the case was properly authorized by the President of the PPO. Taking into account all the arguments, the Court dismissed the complaint. Categories: Art. 141 IPL | Art. 148 IPL | International law | Nice Classification | Polish Act on Industrial Property Law | Polish Act on Proceedings Before Administrative Courts | Polish Patent Office | Polish Supreme Administrative Court | trade mark examination | Voivodeship Administrative Court. The Polish Patent Office granted the right of protection for the word trade mark Columbia R-182641 that was applied for by the Polish entrepreneur “ORION” Jerzy Czernek from Łódź. The German company Imperial Tobacco (EFKA) GmbH & Co. KG filed a notice of opposition to the decision of the Patent Office on the grant of a right of protection, claiming similarity to its trade mark COLUMBUS IR-0613016 registered for some identical goods in Class 34. Mr Czernek argued that there is no likelihood of confusion between both trade marks, as the recipients of goods and services covered by those signs accurately identify the brand of cigarettes and they do not confuse them. The PPO agreed and dismissed the opposition. Imperial Tobacco filed complaint against this decision. The Voivodeship Adminsitrative Court in its judgment of 25 January 2010 case file VI SA/Wa 1798/09 dismissed it. Imperial Tobacco filed a cassation complaint. The Supreme Administrative Court in its judgment of 15 June 2011 case file II GSK 666/10 repealed the contested judgment and returned it to the VAC for further reconsideration. The Court held that consumer’s attention focuses on the similarities and the first part of the sign. The SAC also noted that the VAC has not explained why it considered that eight-letter signs, that share the same 6 letters and the identical first two syllables, are completely different. In the case of identical goods, the analysis of similarity between trade marks should be particularly careful and thorough. The SAC noted that it should be always remembered that trade marks are to help customers to associate the product with the manufacturer, and not obscure the market and lead to confusion. The Voivodeship Administrative Court in its judgment of 28 September 2011 case file VI SA/Wa 1541/11 reversed the contested decision, ruled it unenforceable, and returned the case to the PPO for reconsideration. However, the Polish Patent Office in its decision of 4 April 2012 case no. Sp. 538/11 did not decide on the mertis of the case, becasue Mr Czernek waived his right of protection and Imperial Tobacco withdrew the opposition. Categories: Art. 132(2)(ii) IPL | Art. 246 IPL | Polish Act on Industrial Property Law | Polish courts | Polish Patent Office | Polish Supreme Administrative Court | similarity of goods | similarity of signs | trade mark opposition | trademark law | Voivodeship Administrative Court. On May 2006, the Polish Patent Office granted the right of protection for the word trade mark corovin R-173989 that was applied for by the Polish company CB S.A. The German company Coroplast Fritz Müller GmbH & Co.K.G. from Wuppertal filed a notice of opposition to the decision of the Patent Office on the grant of a right of protection, claiming similarity to its trade mark Coroplast R-91907. The PPO dismissed the opposition and decided that in assessing the similarity of signs, the word trade marks COROPLAST and COROVIN are not similar in the semantic aspect because both are fanciful signs, they are neither similar in aural aspect because both assessed globally sound different due to the different endings, and they are not similar in the visual aspect due to different endings. Both companies operate in Poland in various sectors and the goods, at which the trade marks are placed, are not everyday use products. Furthermore, COROPLAST and COROVIN are also registered as trade marks in Germany and they co-exist seamlessly. Coroplast Fritz Müller filed a complaint against this decision. The Voivodeship Administrative Court in its judgment of 4 January 2010, case file VI SA/Wa 442/09 repealed the contested decision. The Court applied to its reasoning rules of the law of prägnanz (German: pithiness) while deciding this case. The Court ruled that by creating specific stimuli, one can manipulate the external context, and by influencing the human experience, one can manipulate the internal context. The law of proximity states that elements close to each other compared with other, more distant elements form the figure. The law of similarity based on the law of proximity in relation to similar elements, indicates that human perception can give rise to a new separate figures, and a new association. Next, the law of closure indicates that the perceptual system adds the missing elements and closes the form of incomplete figures, and in this case one can add to the already existing characters CORO other letters. It should be noted that the human being creates the perceived reality based on the interaction of knowledge that flows from the various branches and experience, with received stimuli. So it may be, in this case. Human knowledge derived from other branches of science may “complete” the lack in the designation and close this sign. CB S.A. filed a cassation complaint. The Supreme Administrative Court in its judgment of 22 June 2011 case file II GSK 665/10 repealed the contested judgment and returned it to the VAC for further reconsideration. The Court held that when assessing the similarity of word trade marks, the first and initial part is essential, because it focuses recipients’ attention. However, the VAC ignored the fact that in a situation when the first element has a very weak distinctive character as a result of its use by many entrepreneurs in many different trade marks, the meaning of the second part of the trade mark is increasing and may well be that it’s this second part of the sign – the ending of the words – is distinctive and dominant. Categories: Art. 131(1)(ii) IPL | Art. 131(2)(i) IPL | Art. 132(2)(ii) IPL | case law | Polish Act on Industrial Property Law | Polish Supreme Administrative Court | similarity of signs | trademark law | Voivodeship Administrative Court. On 5 February 2011, Bogusław Kler, a Polish patent and trade mark attorney, requested Anna Korbela, the President of the Polish Chamber of Patent Attorneys, to disclose information concerning, inter alia, copy of the audio recording of the National Convention of Patent Attorneys that was held in 2010. The President answered that such request should be dealt with and decided by the National Council of Patent Attorneys. Bogusław Kler filed a complaint for failure to act (administrative inaction). Mr Kler argued that the President did not properly consider his request or did not issue a refusal decision. The Voivodeship Administrative Court in Warsaw in its judgment of 12 July 2011 case file II SAB/Wa 142/11 obliged the President of the Polish Chamber of Patent Attorneys to examine the application filed by Mr Kler. The Court found that the position of the President could not be accepted because it was is inconsistent. Once the President said that she did not remain inactive, because the request was passed to do another, appropriate body, and then later, she found that the requested information is not public information. Once the President announces that it hasn’t got the requested recordings, and then she states that Mr Kler may listen to them at the seat of the authority. The President filed a cassation complaint. The Supreme Administrative Court in its judgment of 20 December 2011 case file I OSK 2026/11 dismissed it and ruled that information about the activities of the professional self-government of the Polish patent attorneys is a public information. It was indirectly interpreted from the provisions of Article 17 of the Polish Constitution, under whose self-governments may be created within a profession in which the public repose confidence, and such self-governments should concern themselves with the proper practice of such professions in accordance with, and for the purpose of protecting, the public interest. This simply means that the activities of the government and its bodies fail within the meaning of a public character or matters, and such information concerning these activities – has the nature of public information. Categories: Art. 17 Constitution | Art. 6 API | Polish Act on Access to Public Information | Polish Chamber of Patent Attorneys | Polish Constitution | Polish patent attorneys | Polish Supreme Administrative Court. A Polish company requested the Ministry of the Interior and Administration (MIA), and Director of the Centre of Information of MIA, to disclose all legal opinions prepared by the Polish Information Processing Society that concerned IT systems created by the Ministry. The Director provided all the requested documents, however the Ministry only asked the Company to clarify the request in the letter sent on October 2009. The Company filed a complaint for failure to act, claiming administrative inaction in its case. The Ministry also argued that the requested information cannot be disclosed because such expert opinions are copyrighted materials, and as such, are not deemed as public information. The Voivodeship Administrative Court in Warsaw in its judgment of 4 February 2010 case file II SAB/Wa 155/09 agreed with the Company and ordered the MIA to disclose requested information. The Court ruled that such expertises are public information, so they should be disclosed, unless they contain secret information protected by law. The Minister of MIA filed a cassation complaint. The Supreme Administrative Court in its judgment of 3 August 2010 case file I OSK 757/10 repealed the contested judgment and returned it to the VAC for further reconsideration. However, the SAC only discussed and held that the VAC did not examine whether there was administrative inaction of the MIA. The Court did not examine the allegation that there was a breach of regulations of the Polish Act of 6 September 2001 on access to public information – API – (in Polish: Ustawa o dostępie do informacji publicznej), published in Journal of Laws (Dziennik Ustaw) No. 112, item 1198, with subsequent amendments. The Voivodeship Administrative Court in Warsaw in its judgment of 8 September 2011 case file II SAB/Wa 174/11 was bound by the interpretation of the SAC, and decided that there was administrative inaction. The Minister of the Interior and Administration, once again filed ​​a cassation complaint. The Supreme Administrative Court in its judgment of 7 March 2012 case file I OSK 2265/11 dismissed it. The SAC held that if the Minister found that it had the requested information, while it also concluded that there are obstacles to the disclose because of the circumstances set out in Article 5 of the API, or other provisions of specific laws, it was obliged to initiate ex officio proceedings on the refusal to disclose information. The refusal should be issued as an administrative decision only. The lack of such a decision was deemed as administrative inaction, subject to a complaint. The letter sent by the Minister on October 2009 was clearly not an administrative decision. The SAC reminded that the administrative decision should obligatory contain: the name of public authority, date, identity of the party or parties, the legal basis on which the decision was issued, the conclusion and findings, factual and legal grounds, instruction, whether and how to file an appeal against the decision, the signature with the name, surname and position of the person authorized to issue a given decision. Although the letter was signed and affixed with the seal by the Deputy Director of Administration and Finance Office of the MIA, is was not mentioned that the Director acted under the authority of the Ministry. The letter did not contain a ruling on the request of the Company, but on the contrary – the Director explicitly stated that the request was not recognized in accordance with that Act on access to public information. The Letter had no form of a decision, it did not include the instruction, whether and how to file an appeal against it. The Court decided that this letter was purely information message sent on paper. The Polish legislature did not formulate any legal definition of “access to public information”, or the very concept of public information, both in the Polish act on access to public information or in any other legal act. However, Article 1 of the API ab initio provides that each information on public matters constitutes public information in the understanding of the Act and is subject to being made available on the basis of principles and under the provisions defined in this Act. According to legal commentators, a public matter is the activity of both public authorities, economic and professional self-government bodies that exercise tasks of official authority and the management of public property. A specific individual case of a person, especially of a private nature, is not deemed as public matters. The access to administrative files falls Within the catalog of public information. Public information is therefore the content of any document relating to public authority. These range from documents produced by government bodies, as well as those used in the execution of the tasks provided for by law, even if they do not come directly from the authorities. Such opinion was confirmed by the Supreme Administrative Court in its judgment of 30 October 2002 case file II SA 1956/02, the Voivodeship Administrative Court in Opole in its judgment of 17 January 2008 case file II SAB/Op 20/07, the Voivodeship Administrative Court in Warsaw in its judgmet of 16 July 2008 case file II SA/Wa 721/08, the Voivodeship Administrative Court in Warsaw in its judgmet of 26 June 2008 case file II SA/Wa 111/08. The criterion for determining the disclosure and availability of the documents under the API is not their authorship, but the opinion that they are used to carry out public duties, and were prepared at the request of public authorities, when at the same time, their content and does not violate the privacy of an individual or trade secrets of business. It is not about the disposal of copyright, but about access to the content of the document that was created on behalf of the public authority to carry out public duties. Such opinion was confirmed by the Supreme Administrative Court in its judgment of 15 July 2011 case file I OSK 667/11, by the Supreme Administrative Court in its judgment of 7 December 2010 case file I OSK 1774/10, by the Supreme Administrative Court in its judgment of 18 September 2008 case file I OSK 315/08, by the Supreme Administrative Court in its judgment of 9 February 2007 case file I OSK 517/06. Not all opinions or expertise, that were created by a public authority or on behalf of public authorities, are public information. The classification of legal opinion in documents that are available under the API is determined by the purpose for which it was prepared. A legal opinion prepared for the public authority on the merits of initiating future proceedings in a particular civil case does not constitute public information for the purposes of Article 1 of the API. It was confirmed by the Supreme Administrative Court in its judgment of 16 June 2009 case file I OSK 89/09. An expertise that specifically relate to a given legislative proposal for which the legislative process continues, are deemed as public information. These documents relate to the facts, of such, is the legislative proposal submitted to the competent authority in the legislative procedure. It was confirmed by the Supreme Administrative Court in its judgment of 27 January 2012 case file I OSK 2130/11. If a disclosure of public information threatens the common or individual interests, there is the possibility to restrict the access to such information by refusing its disclousure by an administrative decision that should be based on the provisions of Article 16 of the API. The expertise prepared by the Polish Information Processing Society for the Ministry, associated with the formation by that authority of systems, and the preparation of examinations for persons applying for a certificate of qualification for the controllers and communication systems, satisfy the conditions of public information, because they concern the implementation of tasks by the public authority. If the the expertise concerned computerization and informatization of the public sphere and involved the expenditure of public funds, therefore it is public information, because it refers to the public affairs, which is the issue of computer software/programs in the implementation of public tasks, and how they are used and implemented, the implementation and impact of these tasks and information on public property, including property of the State Treasury. There was also a specific issue of the expropriation of copyright for public purpose. Article 1 of the Polish Act on Authors Rights and Neighbouring Rights provides that the subject of copyright should be any manifestation of creative activity of individual nature, established in any form, irrespective of its value, purpose or form of expression (work). Opinions and expertise made ​​by qualified persons or entities meet the statutory definition. According to Article 4 of the ARNR, the copyright should not apply to legislative acts and their official drafts, official documents, materials, logos and symbols. Expertises commissioned by the Ministry, are official documents within the meaning of the Article 4(2) of the ARNR. They are used as a servant in decision-making process of the executive authority and are not the subject of copyright. The Polish Supreme Court and the Supreme Administrative Court agree that the official documents are materials that come from the office or other state institution or concerned official matters, or was the result of application of the official proceedings. As it was decided by the Supreme Court in its judgment of 26 September 2001 case file IV CKN 458/00, and by the Supreme Administrative Court in its judgment of 19 February 1997 case file I SA/Kr 1062/96. The effectiveness of social control and supervision over the information used on completion of assigned tasks of public authority correspond with such understanding of the relationship between the provisions of Article 1 of the API and Article of the ARNR. Such opinion was confirmed by the Supreme Administrative Court in its judgment of 27 January 2012 case file I OSK 2130/11. Hence, the definition of an official document, provided in Article 6(2) of the API does not provide a basis for restricting access to public information, defined in the Article 1(1) of the API, including the catalog of examples contained in Article 6(1) of the API. Categories: Art. 1 ARNR | Art. 1(1) API | Art. 16 API | Art. 4 ARNR | Art. 6 API | computer law | copyright law | copyright ownership | e-documents | e-law issues | e-services | expropriation of copyright | legal regulations on computer networks | Polish Act on Access to Public Information | Polish Act on Authors Rights and Neighbouring Rights | Polish courts | Polish law | Polish Supreme Administrative Court | public information | Voivodeship Administrative Court. On 22 November 2010, Bogusław Kler, a Polish patent and trade mark attorney, requested the President of the Polish Patent Office to disclose public information concerning the word trade mark PRINCE POLO R-148617, in order to know, whether during the examination, the trade mark POLO R-69429, or other marks containing this word were taken into account, and in particular, if the expert who was proceeding and examining the trade mark application, noted and listed any signs with the word “polo” in the examination card of the trade mark PRINCE POLO R-148617. In addition, Mr Kler requested for information on whether in a possible conflict between “Prince Polo” and the earlier “POLO” signs, the examiner considered any settlement actions of the owners of such trade marks, indicating that he is not requesting the full texts of documents, but seeking to confirm whether such documents if any, were submitted to the trade mark file and they were used in the assessment for the trade mark PRINCE POLO. The President of the PPO expressed the opinion that the examination card of the trade mark PRINCE POLO R-148617 is not deemed as public information, because it is not directed the parties of the proceedings, and therefore it cannot be disclosed. With regard to information on materials concerning possible settlement between the trademark owners, the President explained that such information can be obtained by directly asking the entitled entities. At the same time, the President pointed out that decisions on the granting of exclusive rights belong to independent experts, and the requested filed by Mr Kler can be read as an unfounded and unjustifiable attempt to control of examinations conducted by experts and the procedures for the granting of exclusive rights. The President argued that such control process of the legality of decisions undertaken by the Polish Patent Office falls within the competence of administrative courts. The method of preparing and filing of the examination card of a trade mark is not regulated in any legislation being in force. Information to be included in it depends on the expert. The examination card is somehow a reflection of thinking of a person who was handling a given case. Bogusław Kler filed a complaint for failure to act (administrative inaction). Mr Kler argued that the President of the PPO did not consider his request or did not issue a refusal decision. The Voivodeship Administrative Court in its judgment of 13 May 2011 case file II SAB/Wa 88/11 dismissed the complaint. The VAC held that information requested by Mr Kler is not public, in particular, these are not public data. The Court held that the examination card is not an official document since it does not contain a declaration of will/intent or knowledge of a public official. Based on the card, it is not possible to unambiguously determine conditions, that were followed by the authority granting the right of protection for a trade mark. The card is a working internal document of the PPO, which provides information of operational activities aimed at a comprehensive assessment and examination of the validity and legitimacy for granting the protection of the sign applied for. Mr Kler filed a cassation complaint. The Supreme Administrative Court in its judgment of 1 December 2011 case file I OSK 1550/11 repealed the contested judgment and returned it to the VAC for further reconsideration. The SAC held that according the Constitution of the Republic of Poland, a citizen should have the right to obtain information on the activities of organs of public authority as well as persons discharging public functions. Such right should also include receipt of information on the activities of self-governing economic or professional organs and other persons or organizational units relating to the field in which they perform the duties of public authorities and manage communal assets or property of the State Treasury. Limitations upon the right of information may be imposed by the Act solely to protect freedoms and rights of other persons and economic subjects, public order, security or important economic interests of the State. The principle of the “right to information” provided in the Constitution sets basic rules of interpretation of this right. It is a constitutional right, therefore, the law defining the procedures for access to information should be interpreted broadly, and any exceptions to this right should be construed and interpreted narrowly. This implies the use in relation to these acts of interpretation, which favor expanding rather than narrowing the obligation to disclose information. The enumeration, what is deemed as public information, is provided in the Polish Act on Access to Public Information, however this enumeration includes exemplary situations, and it does not cover all cases in which information is disclosed. The Court noted that public information is each information or data that was created or referred to the widely defined public authorities, or was created or referred to other entities performing public functions in the execution of tasks of public authority. The Supreme Administrative Court shared the view that all files of entire administrative proceedings conducted by a public authority, constitutes public information – including both documents created and held by the authority in connection with a particular case. Therefore, the Court held that, in principle, all that is in the file of the proceedings, regardless of whether it will be a public document or private, should be disclosed. It does not matter whether the document in the file is an “internal” or “working”. Even giving up the assumption that the whole proceedings constitute public information, it cannot be excluded that given documents from these files have such nature. In each case, every request for disclosure of public information requires a detailed analysis. Only as a result of such analysis, the authority should decide whether the requested information is public, followed by what standards govern the procedure of its disclosure. Categories: Art. 133 §1 PBAC | Art. 141 §4 PBAC | Art. 151 PBAC | Art. 4(1) API | Art. 6 API | Art. 61 Constitution | e-access | e-law issues | Polish Act on Access to Public Information | Polish Act on Proceedings Before Administrative Courts | Polish Chamber of Patent Attorneys | Polish Constitution | Polish courts | Polish institutions | Polish patent attorneys | Polish Patent Office | Polish Supreme Administrative Court | public information | Voivodeship Administrative Court. The Supreme Administrative Court in its judgment of 3 February 2012 case file I OSK 2172/11 dismissed the complaint against the judgment of the Voivodeship Administrative Court in Warsaw of 25 August 2011 case file II SAB/Wa 87/11 in which the court ruled that e-mail correspondence of employees of the Agency for Restructuring and Modernisation of Agriculture (ARMA) is not deemed as public information. Categories: Art. 1(1) API | Art. 6 API | computer law | e-access | e-documents | e-law issues | Polish Act on Access to Public Information | Polish Supreme Administrative Court | public information. The Polish Patent Office in its decision of 29 January 2010 case no. DT-581/08 refused to grant the right of protection for the word-figurative trade mark FILIPETTI MONTENERO SPUMANTE DEMI SEC DALLA TRADIZIONE ITALIANA Z-298140 that was applied for by Domain Menada Sp. z o.o. for goods in Class 33. 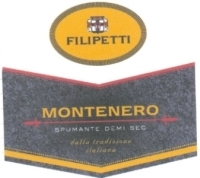 The PPO decided that this trade mark is similar to the word trade marks FILIPETTI R-101614 and R-140718 owned by Belvedere S.A. Domain Menada argued that it is a part of the Belvedere Group, and provided a letter of consent. Domain Menada filed a complaint against this decision but the Voivodeship Administrative Court in its judgment of of 21 June 2010 case file VI SA/Wa 710/10 dismissed it. See “Trade mark law, case VI SA/Wa 710/10“. Domain Menada filed a cassation complaint. The Supreme Administrative Court in its judgment of 8 December 2011 case file II GSK 1261/10 ruled that the letter of consent was not binding and the PPO examined its effects in different aspects, based on gathered evidence, and it found that the letter of consent is not an exemption to grounds for refusing trade mark protection. The SAC stressed that the system of registration of trade marks under the Polish Industrial Property Law is to guarantee the protection of the interests of businesses and consumers. Under the present regulations, the Polish Patent Office may refuse to register a trade mark, despite the agreement between the professional entities that are active in business, due to the risk of misleading and confusion of consumers as to the origin of the goods from a particular entrepreneur. In this sense, the mere will of particular businesses does not directly create and shape the public policy. The PPO is a public authority that takes a decision on the registration of a trade mark, taking into account ex officio circumstances specified in the IPL. The PPO is therefore bound by the provisions of generally applicable laws, and these – as it was indicated above – protect the position and the consumer’s interest. Categories: Art. 131(1)(iii) IPL | Art. 131(3) IPL | Art. 132(2)(ii) IPL | Art. 143 IPL | Art. 144 IPL | Art. 145 IPL | Art. 151 PBAC | Art. 245 IPL | letter of consent | Polish Act on Industrial Property Law | Polish Act on Proceedings Before Administrative Courts | Polish law | Polish Supreme Administrative Court | trade mark refusal | trademark law | Voivodeship Administrative Court. The Supreme Administrative Court in its judgment of 29 November 2011 case file II GSK 1206/10 held that the provisions of Article 45(1) of the Constitution of the Republic of Poland provide that everyone should have the right to a fair and public hearing of his or her case, without undue delay, before a competent, impartial and independent court. These provisions include the principle that every court should decide a case without undue delay. This rule is also reflected, among others in the provisions of Article 7 the Polish Act of 30 August 2002 on Proceedings Before Administrative Courts – PBAC – (in Polish: Prawo o postępowaniu przed sądami administracyjnymi), published in Journal of Laws (Dziennik Ustaw) No 153, item 1270 with subsequent amendments, that the administrative court should undertake activities aimed at the rapid settlement of the matter of each case and seek to settle the case at the first hearing. In light of these provisions it should be clearly stated, however, that the principle of the speed of court proceedings is not a rule that could be given precedence over the right of the party to defend its rights and personal participation in the hearing, if the legislature included the possibility to postpone the hearing in specific situations. In this case, the Voivodeship Administrative Court in Warsaw improperly assessed the evidence that gave the reason to postpone of the hearing, which resulted in a breach of the right of parties to participate in the hearing and personal defense of their rights in legal proceedings. In consequence, the SAC ruled that there was a reason to decide on the nullity of proceedings. Categories: Art. 183 PBAC | Art. 45 Constitution | Art. 7 PBAC | Polish Act on Proceedings Before Administrative Courts | Polish courts | Polish law | Polish Supreme Administrative Court | Voivodeship Administrative Court. The Polish Patent Office had refused to grant the right of protection for the word trade mark PUCHATEK CHOCO Z-321348 filed by Lubella Sp. z o.o. sp. kom. ak., for goods in Class 30. Lubella provided a letter of consent, which had been granted by Maspex Sp. z o.o., the owner of the prior-registered trade marks that include word element PUCHATEK. The PPO decided that it cannot consider the letter of consent, inter alia, for the reason that commercial relationships between the entities are not permanent. The use of a letter of consent in such a case could potentially cause problems when dealing with its withdrawal when the cooperation between the entities has ceased to exist. The PPO also remind that the Polish Industrial Property law provides for the institution of the letter of consent, only to signs whose protection lapsed. Lubella filed a complaint against this decision but it was dismissed by the Voivodeship Administrative Court in its judgment of 20 July 2010 case file VI SA/Wa 600/10. Lubella filed a cassation complaint. The Supreme Administrative Court in its judgment of 16 December 2011 case file II GSK 1378/10 upheld the questioned judgment. The Court agreed with the PPO that Lubella was a different legal entity from the right holder of earlier trade marks that were considered as similar. The Court noted that it should be always borne in mind that the task of a trade mark is to distinguish the goods of one undertaking from those of other undertakings. The trade mark has to fulfill the function of determination of origin. This function is expressed objectively by commodity/goods, to which the sign is assigned, and it provides the consumer an idea about the qualities of a particular product, and subjectively i.e. the trade mark belongs to a given undertaking based on the right of protection that was granted to him or her, and it lets for the identification of the goods with the source that is indicated abstractly or by name. The protected trade mark should prevent from the risk of confusion on the part of consumers, because on the one hand it protects the economic interests of entitled entrepreneur, on the other hand it is aimed at consumers, in order to distinguish the origin of the goods. The SAC also reminded after the VAC that the Polish Patent Office does not examine the way in which the trademark is used on the market, except for its reputation, notoriety or secondary meaning i.e. acquired distinctiveness. The examination of a trade mark application is carried out in abstracto, that is, in isolation from market conditions. Categories: Art. 120(1) IPL | Art. 120(2) IPL | Art. 132(2)(ii) IPL | Art. 133 IPL | letter of consent | Polish Act on Industrial Property Law | Polish courts | Polish law | Polish Supreme Administrative Court | similarity of goods | similarity of signs | trade mark refusal | trademark law | Voivodeship Administrative Court. The Voivodeship Administrative Court in Gdańsk in its order of 23 March 2011 case file I SA/Gd 916/10 rejected a complaint against a decision on leaving the applicant’s request for the relief for the payment of court fees from the complaints, without examination. The complaint was sent by post the day after the deadline, but the day before, the same letter has been sent by e-mail at 10:50 pm to the court. The VAC found the complaint to be void and rejected it. The applicant filed a complaint against such order. The Supreme Administrative Court in its order of 21 December 2011 case file II FZ 447/11 agreed with the applicant, and repealed the contested judgment and returned it to the VAC for further reconsideration. The SAC issued very precedential opinion. The Court held that despite the legal loopholes it is possible to bring the pleadings via e-mail correspondence with the courts. The court also held that the date of the filing is a real moment of delivery of the e-mail message, which will be communicated to the recipient in the appropriate e-mail program. The Court noted that information about the confirmation of data transmission, which includes the date of delivery, is provided in the header of each e-mail message and it decides on timely filing of the pleadings. The Court stressed that the party to the proceedings before the administrative courts cannot bear the negative consequences of failure to implement the Polish Act on Proceedings Before Administrative Courts of the relevant provisions concerning the submission of documents by electronic means. After that judgment a party can effectively bring to the administrative court every pleading by electronic means, including the complaint or a cassation complaint, despite the lack of a formal legal basis. The only problem is that the document lacks of a formal signature. But there is no obstacle to supplement it after the call issued by the court. If the applicant will send a complaint via e-mail at the last moment, it will be deemed as the effective delivery and filing. It only has to be signed in person after the call from the court in a specified deadline. Categories: Art. 194 PBAC | Art. 46 §1 pt 4 PBAC | Art. 83 § 1 PBAC | e-court | e-documents | e-law issues | e-proceedings | e-signature | Polish Act on Proceedings Before Administrative Courts | Polish courts | Polish law | Polish Supreme Administrative Court | Voivodeship Administrative Court. The Supreme Administrative Court in its judgment of 1 September 2011 case file II GSK 833/10 decided the cassation appeal that was filed by the National Council of Patent Attorneys in the case of the candidate for the patent attorney traineeship. The candiate did not agree with grades that she received during the entry exam. The SAC held that the cassation complaint was unjustified because of the lack of clarity in the rules of operation of the examination committee could cause significant differences in the assessments and grades that were issued by individual members of the committee. Grades that were issued for the same answer for the same question were so significantly different (4 and 10, 3 and 10) that it could indicate only that not all members of the committee acted in accordance with objective, reliable rules. The Supreme Administrative Court held that the Voivodeship Administrative Court in its judgment of 11 February 2010 case file VI SA/Wa 1713/09 correctly annulled the resolution of the National Council of Patent Attorneys, because the Council did not use clear criteria for assessing candidates for the patent attorney traineeship, thus giving rise to the recognition by the VAC that such resolution violated the requirements for reasons and justification of the administrative decision. The SAC held that the sufficient guarantee of proper operation of the committee would be, apart from the personal reliability of its members, formulation and disclosure of clear criteria for evaluation in all fields of the exam. Categories: Art. 107 §3 APC | Art. 153 PBAC | Polish Act on Proceedings Before Administrative Courts | Polish Administrative Proceedings Code | Polish Chamber of Patent Attorneys | Polish patent attorneys | Polish Supreme Administrative Court. Nufarm Australia Limited, the owner of the trade mark DUAL SALT TECHNOLOGY R-164428 registered for goods in Class 5, requested the Polish Patent Office to decide on the lapse of the right of protection for DUAL IR-0534713 owned by Syngenta Participations AG. Earlier before, Syngenta opposed the registratin of the trade mark DUAL SALT TECHNOLOGY R-164428. Syngenta requested the PPO to dismiss the request. The Company provided evidence of use of the trade mark DUAL IR-0534713. There were six copies of VAT invoices from the period from 2002 to 2006, of sale of goods bearing the sign “DUAL GOLD 960 EC”, and two newspaper articles concerning this product and the material safety data sheets of “DUAL GOLD 960 EC of August 2005. The Polish Patent Office decided on the lapse of the right of protection for DUAL IR-0534713 and dismissed the opposition against the registration of the trade mark DUAL SALT TECHNOLOGY R-164428. Syngenta filed a complaint against this decision. The Voivodeship Administrative Court in its judgment of 19 March 2010 case file VI SA/Wa 1807/09 dismissed it. Syngenta filed a cassation compliant. The Supreme Administrative Court in its judgment of 3 October 2011 case file II GSK 839/10 repealed the contested judgment and returned it to the VAC for further reconsideration. The SAC ruled that the cassation complaint can be based on the following grounds: a) the violation of substantive law by its erroneous interpretation or misuse, or the violation of proceedings rules, if it could affect the outcome of the case. The specific provisions of substantive law or procedural law, which were violated the court of first instance, should be indicated. Furthermore, it should be precisely explained What was the misapplication or misinterpretation – in relation to substantive law, or it should be demonstrated what was the significant impact of the violation of procedural law to decide the case by the court of first instance – in relation to the rules of proceedings. The Supreme Administrative Court cannot change or precise cassation complaints and their grounds, or otherwise correct them, due to limitations resulting from the mentioned rules. If the cassation complaint alleges violation of both substantive law and proceedings, as it was in the present case, the Supreme Administrative Court recognizes the allegation of violation of proceedings, in the first place. The SAC decided the PPO has erred in its findings because it considered that the evidence submitted on, was from the years 2002-2006, while there was also an invoice from March 2007 on the case file, which was of the relevance to the case. It was a sales invoice of the preparation DUAL GOLD 960 EC 12 XI and DUAL GOLD 960 EC 4X 5 L. Surprisingly, the Supreme Administrative Court acknowledged, that the case facts showed that the trade mark DUAL GOLD lapsed on June 2006, so as a trade mark it ceased to exist on the market from that date (it was not registered). Since the trade mark DUAL GOLD ceased to exist in legal transactions after June 2006, the Polish Patent Office should examine whether this sign could be used in this situation, as indicated on the invoice of March 2007, or perhaps the invoice indicated the use of any other trade mark, for example, the trade mark DUAL, and therefore the Article 170 (1) of the IPL should be applied in this case. 1. Subject to paragraph (2), the Patent Office shall dismiss a request for declaring the right of protection lapsed in the case referred to in Article 169(1)(i), if before the submission of the request genuine use of the mark has started or has been resumed. 2. Start or resumption of the use of the trademark after the expiration of an uninterrupted period of five successive years of non-use and within a period of three months preceding the submission of the request for declaring the right of protection lapsed, shall be disregarded, if preparations for the start or resumption of the use have been undertaken immediately after the right holder became aware of possible submission of such request. 3. Paragraphs (1) and (2) shall apply accordingly in the cases referred to in Article 169(7). 4. Loss of a right to use a sign or a symbol, referred to in Article 131(2) incorporated in a trademark shall not constitute a ground for non-making a decision declaring the right of protection for that trademark lapsed, if that sign or symbol ceased to be used in the trademark before a request for the declaration of the right of protection lapsed has been submitted. In light of this evidence, which were the facts of this case, where a detailed analysis could affect the outcome of the case, it was premature by the court of first instance to rule and to say that, in this case that the genuine use of the mark has not started or has not been resumed, and PPO in this case did not erred in law, because it has analyzed all the evidence gathered. Considering other procedural allegations, the SAC held that administrative courts are not required in justification of its judgments to refer to each decision of Polish or European courts, that were cited by the author of a complaint. Such obligation can not be inferred from any provision of the Polish Act on Proceedings Before Administrative Courts. However, the administrative court should refer to these judgments, of which the applicant derives important arguments for the assessment of the case. In this case, the Court of first instance did not meet this requirement. The SAC noted that the doctrine of law and case-law indicate that the trade mark proprietor may use its sign in an altered form in connection to the form of a sign that was registered. This alteration however, cannot apply to elements that decide on the distinctiveness of the sign, or may not lead to changes in represented form as a distinctive whole. See the judgment of the Supreme Administrative Court of 24 May 2006 case file II GSK 70/06. The SAC confirmed the high degree of freedom to dispose of a trademark by its proprietor, and cited the judgment of the Supreme Administrative Court of 24 June 2008 case file II GSK 251/08. See “Trade mark law, case II GSK 251/08“. The SAC found that the VAC has not sufficiently analyzed of all substantive rules in the context of this case. However, both situation where the violation of substantive law may happen, i.e., violation of substantive law by its incorrect interpretations or inappropriate use, refer only to cases where the facts of the case were established in no uncertain terms. Otherwise, the alleged breach of substantive law is at least premature. This situation took place in this case, because the author of the complainant cassation alleged in the first place the violation of the proceedings by the VAC. The violation of proceedings was based on the refusal by the court of first instance to repeal the decision issued by the Polish Patent Office, in a situation when that PPO did not adequately explain the facts of the case and did not examine in a comprehensive manner the whole of the evidence. Categories: Art. 154 IPL | Art. 169(1)(i) IPL | Art. 169(2) IPL | Art. 169(6) IPL | Art. 170 IPL | medicinal product | non-use | Polish Act on Industrial Property Law | Polish courts | Polish institutions | Polish law | Polish Patent Office | Polish Supreme Administrative Court | similarity of goods | similarity of signs | trade mark lapse | trade mark opposition | trade mark use | trademark law | Voivodeship Administrative Court. This is the continuation of the story described in “Copyright law, case II SAB/Łd 53/10“. The Supreme Administrative Court in its judgment of 21 July 2011 case file I OSK 678/11 ruled that copyrighted works in the form of test questions, if they are used for the state exam, become official documents, and the unused questions, which are the so-called “pool of questions” are deemed as documentary material for the purposes of Article 4(2) of the Polish Act of 4 February 1994 on Authors Rights and Neighbouring Rights – ARNR – (in Polish: ustawa o prawie autorskim i prawach pokrewnych), published in Journal of Laws (Dziennik Ustaw) No 24, item 83, consolidated text of 16 May 2006, Journal of Laws (Dziennik Ustaw) No 90, item 631, with subsequent amendments. The court emphasized that different types of materials that are in the possession of the public bodies are not public information, because their content (intellectual property content) is not used or was not used in dealing with any of the public cases, and thus such material did not acquire the characteristics of official documents. Therefore, the argument raised in the cassation complaint that a particular set of questions or a single question from the pool of questions, that was not used in the state exam should be disclosed, was completely groundless. Categories: Art. 1 ARNR | Art. 1(1) API | Art. 10 API | Art. 16 API | Art. 17 API | Art. 4 ARNR | Art. 54 PBAC | Art. 58 PBAC | Art. 7(1) API | Art. 7(2) API | copyright law | copyright ownership | copyrightable subject matter | Polish Act on Access to Public Information | Polish Act on Authors Rights and Neighbouring Rights | Polish Act on Proceedings Before Administrative Courts | Polish Supreme Administrative Court | quotation right. The mayor of the Polish town Rabka-Zdrój refused to disclose land-use planning maps. The request was filed according to the provisions of the Polish Act of 6 September 2001 on Access to Public Information – API – (in Polish: Ustawa o dostępie do informacji publicznej), published in Journal of Laws (Dziennik Ustaw) No. 112, item 1198, with subsequent amendments. The mayor decided that copyright law does not allow for the disclosure, because these maps were created by the Studio of Architecture and Urban Design from Kraków. The applicant filed a complaint against this decision. The Voivodeship Administrative Court in Kraków in its judgment of 22 November 2010 case file II SAB/Kr 114/10 ordered to provide the requested information. The Mayor filed a cassation complaint. The Supreme Administrative Court in its judgment of 15 July 2011 case file I OSK 667/11 dismissed it, and held that as public information are deemed not only documents that were directly created/edited and produced by a public authority, but such a character have also documents that the authority uses to carry out the tasks entrusted to the law, even if the copyrights belong to another entity. The most important is the fact, that these documents are used to carry out public tasks by certain authorities and have been produced on behalf of those bodies. Therefore, it is not about exercising copyrights, but about the access to the content of the document that was created on behalf of public administration in order to carry out public tasks. The SAC noted that this opinion is already established in the case law of administrative courts for many years. For instance, the judgment of the Supreme Administrative court of 9 February 2007 case file I OSK 517/06, the judgment of the SAC of 7 December 2010 case file I OSK 1774/10, or the judgment of the SAC of 18 September 2008 case file I OSK 315/08. In this case, the Court had no doubt that the maps were made in order to perform a specific public task, and were commissioned by public administration body. Its disclosure is not deemed as exercise of the copyright, but as the implementation of the right to access public information. If, there were statutory barriers to disclose such information in a certain way or in a particular form, or there were statutory grounds for refusal of access to public information, the Mayor was obliged to deal with the request in the form of process. However, the lack of disclosure, and lack of procedural decisions in this matter meant, that it was administrative inaction. Categories: Art. 14 API | Art. 184 PBAC | Art. 3 § 2 pt 4 PBAC | Art. 54 PBAC | Art. 6 API | e-access | e-documents | e-law issues | Polish Act on Access to Public Information | Polish Act on Proceedings Before Administrative Courts | Polish Supreme Administrative Court | public information. The Supreme Administrative Court in its judgment of 11 August 2011 case file I OSK 933/11 held that the provisions of Article 418a of the CRC does not specify different rules and procedures for disclosure and access to public information, which is a court judgment in a criminal case. Judgments, decisions of the courts and their justifications – decided both in civil, criminal and administrative proceedings – are therefore deemed s public information and should be disclosed under the provisions of Article 1(2) of the Polish Act of 6 September 2001 on Access to Public Information – API – (in Polish: Ustawa o dostępie do informacji publicznej), published in Journal of Laws (Dziennik Ustaw) No. 112, item 1198, with subsequent amendments. See also “Access to public information, case I OSK 896/12“. Categories: Art. 1(1) API | e-access | e-documents | e-law issues | open standards | Polish Act on Access to Public Information | Polish Supreme Administrative Court | public information. This is the continuation of the story described in “Trade mark law, case VI SA/Wa 1988/09“. Kraft Foods Polska filed a cassation complaint. The Supreme Administrative Court in its judgment of 12 July 2011 case file II GSK 746/10 dismissed the complaint and held that the reputation of the trade mark and homogenity goods bearing the signs at issue – even if they could be taken into account while assessing the likelihood of confusion – cannot challenge the established view that there is the lack of similarity between these trade marks. The Court decided that trade marks that were subject to the opposition proceedings do not contain a common element being the same surname, because the meaning of the POLO word in these trade marks is different. Categories: Art. 8(1) TMA | Art. 9(1)(i) TMA | famous trade marks | Polish Act on Trade marks | Polish Supreme Administrative Court | reputed trade marks | similarity of goods | similarity of signs | trade mark opposition | trademark law. The Supreme Administrative Court in its judgment of 27 May 2009 case file II FSK 181/08 held that a company is allowed for depreciation of trade mark rights after the Polish Patent Office grants the right of protection. Categories: Art. 16(1) LEIT | income tax | Polish Act on Legal Persons Income Tax | Polish Supreme Administrative Court | Tax Chamber | tax law | Tax Office | trade mark depreciation | trademark law. Tiffany & Broadway Inc. Div. of Texpol Corporation from Huston filed a cassation complaint against the judgment of the Voivodeship Administrative Court in Warsaw of 19 October 2009 case file VI SA/Wa 643/09. The VAC dismissed the complaint against the decision of the Polish Patent Office in which the PPO invalidated the right of protection for the word-figurative trade mark TIFFANY R-153644. The request for invalidation was filed by Tiffany & Co. from New York. The New York’s company claimed the similarity of signs and a breach of its over 150-years reputation applied to jewellery products. The Supreme Administrative Court in its judgment of 31 May 2011 case file II GSK 611/10 overturned the questioned judgment and sent the case back for reconsideration. The SAC ruled that the reputation of a trade mark is associated with its high distinctive ability, and such ability is weakened if more entrepreneurs are using the same or similar trade marks to designate their goods. The Court noted that the reputation is a matter of facts and the evidence suggesting that this sign could be well-known and considered to be attractive also in Poland, due to the popularity of Truman Capote’s book and the movie “Breakfast at Tiffany’s”, was not sufficient. What was also important is the fact that the SAC noted that cases between the same parties relating to trade marks with the word “Tiffany” were already the subject of recognition by this Court. See “Trade mark law, case II GSK 1110/08“, “Trade mark law, case II GSK 1111/08” and “Trade mark law, case VI SA/Wa 214/08“. Although there were similar arguments presented by the parties, each case brought before the SAC was related to the legality of separate and non-identical decisions. The VAC has to consider these differences, but the SAC also ruled that it would be advisable to take into account the views expressed in earlier judgments of the Supreme Administrative Court based on the background of similar cases between the same parties. Categories: Art. 107 §3 APC | Art. 141 §4 PBAC | Art. 145 PBAC | Art. 3(2) Directive 89/104 | Art. 4(4)(b) Directive 89/104 | Art. 7 APC | Art. 77 APC | Art. 8(1) TMA | Art. 80 APC | bad faith | Directive 89/104/EEC | EU law | Polish Act on Proceedings Before Administrative Courts | Polish Act on Trade marks | Polish Administrative Proceedings Code | Polish Supreme Administrative Court | reputed trade marks | trade mark invalidation | trademark law | well known trade marks. Katarzyna S. had a website where she published information on breeding dogs. There was also another forum with such information. Grzegorz W. was a dog breeder and he noticed that his personal data and information on his breeding appeared on this websites. Some users posted also negative comments. Grzegorz W. requested the Inspector General for Personal Data Protection (GIODO) to issue an administrative decision ordering the removal of his personal data and all threads and posts connected with his name. He also requested the GIODO to check whether Katarzyna S. as a controller has registered the collection of personal data that was gathered during the operation of her website and the forum. GIODO learned that the forum website was administered by another person who claimed that the questioned website had nothing to do with her ​​professional activity, it was only a hobby. She never received any paid advertising, nor any funds from anyone. Moreover, she informed that the forum was removed from the net for several months. GIODO discontinued the proceedings. GIODO ruled that Katarzyna S. was not involved in the processing of personal data as a part of her business or professional activity. Jerzy W. filed a complaint against this decision. The Voivodeship Administrative Court in its judgment of 14 April 2010 case file II SA/Wa 2130/09 ruled that dogs breeding may be directed to gain profits, because it can be associated with the sale of dogs. The Court decided that GIODO should reconsider the case. GIODO filed a cassation complaint. The Supreme Administrative Court in its judgment of 28 June 2011 case file I OSK 1208/10 overturned the questioned judgment and sent the case back for reconsideration. The SAC ordered the VAC to examine whether the processing of personal data on the internet website had something to do with breeding activities. Categories: Art. 3(2)(ii) PPD | Art. 7 APC | Art. 77 APC | Art. 80 APC | e-law issues | e-services | Inspector General for Personal Data Protection | personal data | Polish Act on Protection of Personal Data | Polish Administrative Proceedings Code | Polish Supreme Administrative Court | Voivodeship Administrative Court. Aquatherm GmbH registered a single green color determined by RAL 150 60 40 as a trade mark IR-863506 for goods in Class 19 such as rigid pipes of polypropylene for the supply of drinking water and heating and air conditioning systems in houses, office buildings and industrial buildings. The Company sought the recognition of the protection of its trade mark on the territory of the Republic of Poland based on the provisions of the Madrid Agreement Concerning the International Registration of Marks. On 11 July 2006, the Polish Patent Office transmitted to the International Bureau in Geneva a notification of the grounds which prevent the protection of an international trademark to be recognised on the territory of the Republic of Poland. The PPO decided that according to Article 120 of the Polish Industrial Property Law this trade mark cannot distinguish the goods, because it is a single color and it is devoid of sufficient distinctive character. On 20 April 2007, the Patent Office sent a letter to the International Bureau with information concerning the correction of a clerical error in the notification dated 11 July 2006, informing that the provisional refusal to recognize the protection should include Article 129(1)(ii) and Article 129(2)(i) of the IPL and not Article 120 of the IPL. At the same time, the PPO did not consider the request of the Aquatherm GmbH to initiate an administrative hearing on the correction of this error. The PPO pointed out that the correction did not change the legal basis of the notification. The difference in the numbering of Articles 120 and 129 was a result of unfortunate, in this case, close arrangement of numbers 9 and 0 on the computer keyboard. The Polish Patent Office in its decision of 9 May 2008 case DT-IR-863 506 refused to recognize the protection. Aquatherm GmbH filed a request for re-examination of the matter, but it was dismissed by the PPO in its decision of 10 June 2009 case PT-430/08 IR-863 506. The PPO did not agree with the Aquatherm GmbH that the registration on its behalf of the earlier trade marks such as IR-832895 or IR-837655 justifies the registration of the applied sign because each case is decided according to individual circumstances. The PPO held that it has not changed, as a result of correcting errors, the legal basis of the refusal. on the market of installations polypropylene systems, and whether the green color used as designation of pipes or installations allows the buyers to identify these products with Aquatherm GmbH. The Voivodeship Administrative Court in its judgment of 3 December 2009 case file VI SA/Wa 1452/09 dismissed the complaint. The VAC held that the provisional refusal cannot be considered ineffective. According to the Court, the PPO indicated the grounds for refusal which was in accordance with the Rule 17 of the Common Regulations under the Madrid Agreement Concerning the International Registration of Marks and the Protocol Relating to that Agreement. The Court noted that in the case of color per se its concrete distinctive ability must be interpreted in the light of public interest, which is based on the rules of the limited reduction of the availability of colors for other entrepreneurs who offer goods or services of the same kind as the goods or services covered by the registration application. The basic function of the trade mark is to guarantee the final consumer or user the identity of the origin of the goods or designated services bearing the trade mark by letting them distinguish the goods or the service of goods or services of different origin. The distinctive character of the sign is based on such features which in the minds of consumers clearly indicate that a particular product bearing a given trade mark comes from the specific company. The VAC noted that in relation to the color per se, it is assumed that the existence of primary distinctive characteristic (without any prior use) is possible only in exceptional circumstances, especially when the number of goods or services for which the mark is applied for is very limited and when the relevant market is very specific. The Court noted that the green color in relation to the applied goods is not unusual. The VAC agreed with the PPO that, in the case of green color used for the pipes used for water flow, there is a risk that consumers will associate it with nature, therefore, it should not be monopolized by one company, in particular, that this shade of green RAL 150 60 40 is also not original. Moreover, the VAC found that the Patent Office has rightly used the example of PN-70/N-01270 standards Guidelines for marking of pipelines. The standard recommends that the painting for the identification of pipelines made ​​of carbon steel or other materials susceptible to corrosion should be coordinated with anticorrosive painting in which the topcoat should also fulfill the function of identification. It is customary to use green for water and chemical solutions that pose no chemical and thermal threat. The Court noted that the statement of the Polish Corporation of Sanitary, Heating, Gas and Air-Conditioning Technology could be helpful to support Aquatherm position, but also found that such a document can not be regarded as expert evidence under the provisions of Polish Administrative Proceedings Code or substitute evidence for opinion polls. The Supreme Administrative Court in its judgment of 15 April 2011 case file II GSK 466/10 dismissed the cassation. The SAC agreed with the findings included in the judgment of the VAC and ruled that the provisional refusal to recognize the protection is, by its very nature, some kind of a general statement issued by an authorized body of the state that is the party to the Madrid Agreement, and it includes the grounds which prevent the protection of an international trademark to be recognized on the territory of the Republic of Poland. The reasons given in the notification of provisional refusal set the boundaries within which the Polish Patent Office then investigates the case and its matter. However, as it was mentioned, the notification is of a general (signaling) nature and it is clarified in a subsequent administrative proceedings. In the event of a dispute, the position included in the notification is subject to detailed examination by the administrative courts, reflecting inter alia the context of a trade mark application, the nature of the applied sign, etc. As a consequence, the reasons of a provisional refusal should be explained in general terms and take into account all the circumstances specified in the notification by the authority. Categories: absolute grounds for refusal | Art. 107 §1 APC | Art. 120(1) IPL | Art. 120(2) IPL | Art. 129(1)(ii) IPL | Art. 129(2)(i) IPL | Art. 133 §1 PBAC | Art. 141 §4 PBAC | Art. 151 PBAC | Art. 174 PBAC | Art. 3(1)(b) Directive 89/104 | Art. 5(2) Madrid Agreement | Art. 6quinquies Paris Convention | Art. 7 APC | Art. 77 APC | Art. 8 APC | Art. 80 APC | Directive 89/104/EEC | distinctive character | International law | non-traditional trade marks | Paris Convention | Polish Act on Industrial Property Law | Polish Act on Proceedings Before Administrative Courts | Polish Administrative Proceedings Code | Polish Supreme Administrative Court | single colour | trade mark refusal | trademark law.